Dream Lover is a custom designed, water ballasted, Murray Burns Dovell 40ft racer/cruiser – owned and skippered by Rick Morgan (Morgans Seafood). 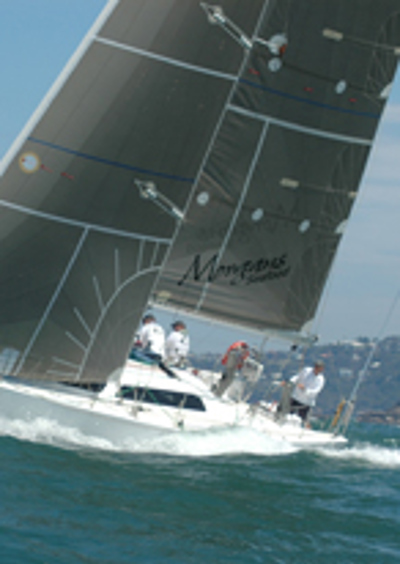 The yacht was launched in March 2006 by the Morgan Family and has participated in many ocean-going races including Brisbane to Gladstone (2007 & 2008), Brisbane to Great Keppel (2007 & 2008) & 2007's PH winning performance in the 34th Gosford to Lord Howe Island Yacht Race. The 2008 Rolex Sydney Hobart will be Dream Lover's first & it will be quite the family affair with the crew consisting of Rick Morgan & daughter Penny Morgan, Peter Gaddes & son Shane Gaddes, Peter Chilman & son James Chilman with John Caulfield, Brad Thomson & Scott Miller.